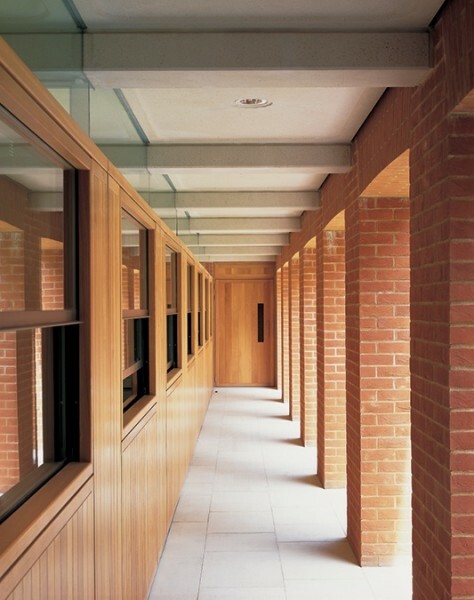 The entrance passageway leads from the street under a former warehouse, to a courtyard surrounded by a powerful two-storey brick structure, topped by a handsome, lead panelled roof. 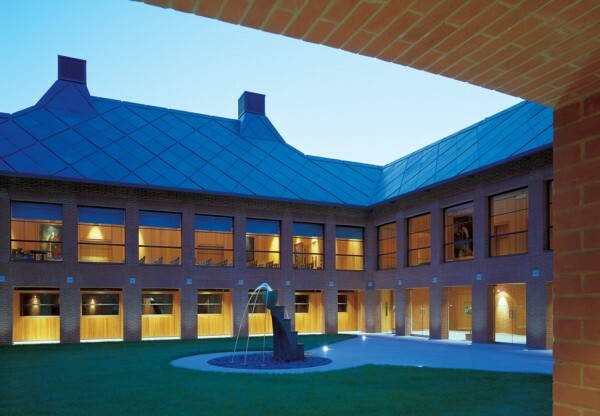 Behind a brick-piered loggia, enclosed by timber panelling, are the offices and support spaces for the Company's activities. 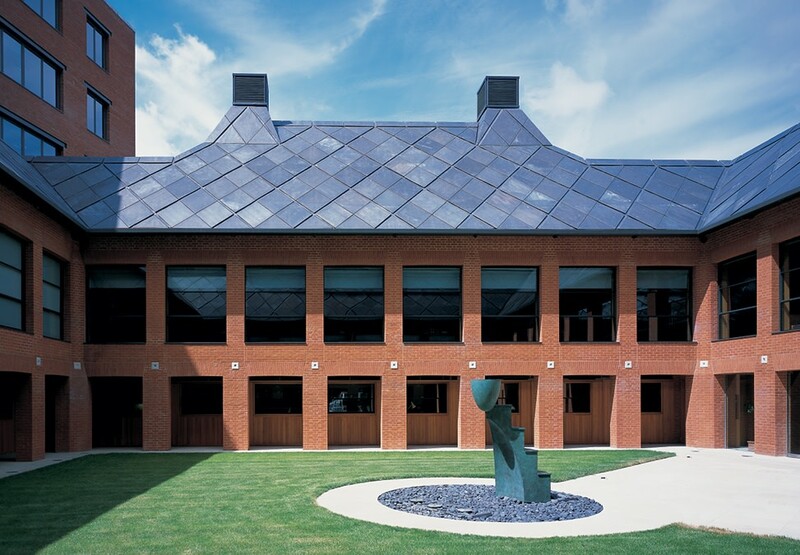 A paved area of the courtyard, next to the William Pye water sculpture, is used to host receptions on fine summer evenings. A generous spiral staircase rises from the loggia to the formal ceremonial spaces. 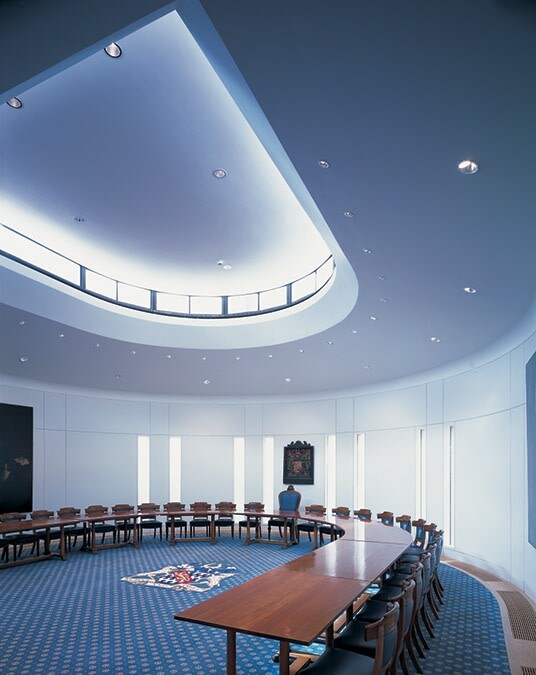 From the long Reception Gallery there are entrances into the central Court Room, with the Committee and Lunch Rooms on either side. Together they build up to the climax of the spatial sequence, the Livery Hall itself, at the far end. This is where the Company dinners are held. 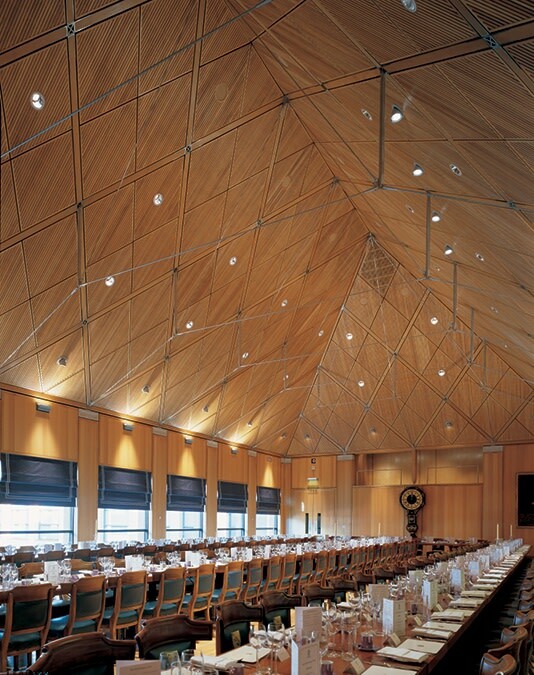 It can be arranged, in different configurations, to seat a maximum of 200 people. 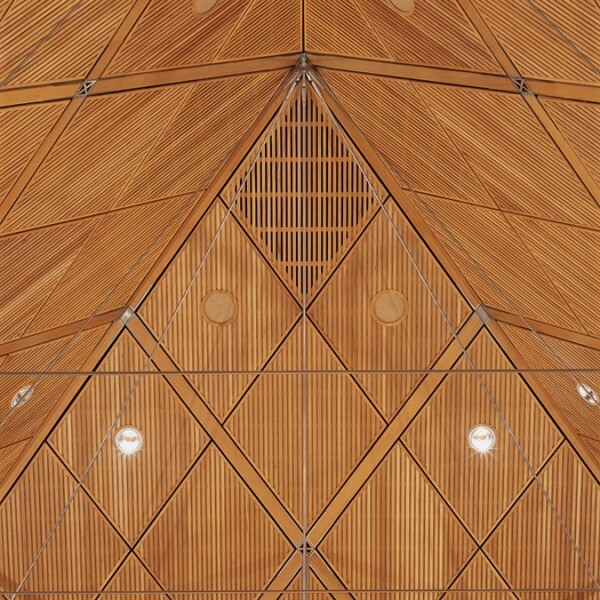 The delicate roof structure of the Livery Hall, with its diagonal grid of laminated timber trusses, connected by stainless steel members, is a modern space-frame concept, yet it has strong roots in the traditional Mediaeval Hall and exemplifies the balance of change and tradition that is a Livery Company today. Generous proportions, refined detailing and formal, axial planning give its world a calm order.